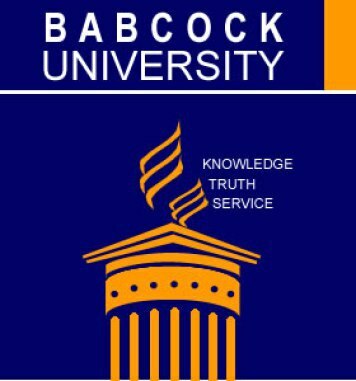 Babcock University Post UTME form and screening dates for admission into the university undergraduate programmes for the 2019/2020 academic session is out. Candidates below 16 years of age are advised not to apply. CANDIDATES AWAITING 2019 WAEC/NECO SSCE RESULTS WILL BE REQUIRED TO PRESENT ACCEPTABLE QUALIFICATIONS BEFORE MATRICULATION. All candidates who APPLY DIRECTLY to Babcock University are REQUIRED to sit for the current JAMB examination (for 100 Level) or apply for JAMB Direct Entry admissions (for Direct Entry candidates). 2. Log-in with your Username as your email address and Password as sent to the email address entered in (1) above. Payments: Take the APPLICATION ID to any of the following banks (Wema, Diamond, GTB, First Bank, UBA). Tell the person at the counter (Teller) that you are paying for Babcock Application Fees via eTranzact platform. The fee is Two thousand naira (₦2,000.00 only). Service charge is ₦350.00. Total ₦2,350.00. Step 4: Once payment is done, log in to the application system and Click Submit. Find below, the Babcock University Admission Screening Timetable for the 2019/2020 admission exercise. I applied for the Post UTME screening and my centre is port Harcourt but I don’t know the exact location of the venue. Please e-mail them or call any of the phone numbers. please I stay in ABA and there is no center for candidates in ABA what do I do? You will have to travel to the nearest center, which is Port Harcourt. You will have to get in touch with Babcock to see if they will still consider you for admission. Please call any of their official number(s).